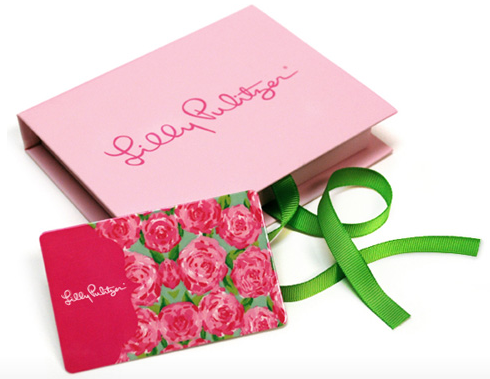 With the arrival of spring, and flowers in full bloom I thought it was the perfect time for a Lilly Pulitzer giveaway. • What would you buy if you won the gift card? I'm a follower! I really have liked the thermal tote that seems to be selling out so fast! Already a follower :) I would definitely pick out a dress to wear during the summer! I see some pretty cute summer sandals and purses. I see a dress, the Monique in coral that needs to be in my closet! Love it! I follow! Hi i'm a new follower. i would love a great summery/flowy dress to wear to an upcoming beach vaca ! I have loved the Lilly State of mind print so I would probably go for the Roslyn skirt or the Bermuda shorts in that print. I am a follower through GFC. I love the mariekate dress from lilly pulitzer! I'm a follower and you're on my blogroll, so four entries for me! Ahhh, there are so many things I want right now...maybe some Patti or Walsh shorts. Wow - AH-mazing giveaway. You are on my blogroll, I am a follower, and I'm tweeting this! caseymbauer at gmail dot com. I'm a follower. Super cute stuff. So many choices, but maybe a cute dress for my beach vacation next month. How fun! I came to let you know a cookie jar I posted made me think of you! Yes I'm already a follower and would love to get a fun dress! I am a follower, my email is kem5291@psu.edu!! I love Lilly and would love to get some new Callahan shorts!! I would love to get a cute purse! If I win, I'm going to combine this with another gift card I've been saving and purchase either the darling scalloped shorts or a swimsuit! I am a follower and would LOVE to win! I am swooning over the scalloped shorts, though I've yet to try them on. I just think they are so pretty and girly! I have a giveaway on my blog at the moment too if you'd like to enter. Thanks for hosting this!! Such a fun summer treat. I am already a follower and would really like some cute new LP desk accesories to brighten things up. Thanks for hosting this cute giveaway ! I follow and could so use a new bag! I'm a follower! I would put it toward a skirt probably... I love the Lynnie skirt! I love Lily Pulitzer!!! I have a silk scarf that I wear all through Spring. I am a follower :) and I would definitely be looking at purchasing either the evening clutch or letterpress cards!! I'm a follower, of course! If I won, I'd get a cute pair of scalloped shorts! I love Lilly! Count me in, please! I'm a follower! I would buy a new pair of gold McKims! I really need a new pair of sunglasses so I'd probably splurge on that. Yippee! I love Lilly! And your blog is just as sweet! I would get the spring garden necklace! I would use it to get a new agenda. Great giveaway! I am a follower! And you are on my blog roll. 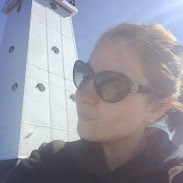 I am a follower and you are on my blogroll! I would love to buy a new Lilly dress!